How can we help? 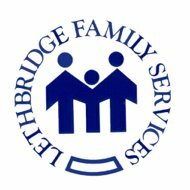 Contact Lethbridge Family Services Counselling. Please feel free to call us at 403 327-5724 or send us a message day or night using the form below. At LFS, our fully qualified, highly trained team of registered psychologists, registered social workers and professional counsellors provide ethical and effective services to individuals, children, couples and families throughout Lethbridge and surrounding area.